Wednesday evening, the state's Public Utilities Commission will take testimony in its final general public hearing on Central Maine Power's plan to construct a major new transmission line through the state. The plan is drawing fire from businesses and residents of areas affected by the new corridor, including the Kennebec River Gorge. Maine Public Radio's Fred Bever has been covering the controversy. He spoke with Nora Flaherty on Maine Things Considered. This plan has been in the works for a while but it seems to be reaching a new stage. How did we get here? It starts in Boston, on Beacon Hill. A few years ago lawmakers there — supported by Governor Charlie Baker — decided that to meet the state's policy goals for reducing greenhouse gas emissions, it would require electric utilities there to procure big contracts for electricity from renewable sources. That included 1200 megawatts of land-based renewable energy, whether from solar power, or wind, or hydro-electricity, for a 20-year period. It could serve roughly a million Massachusetts households. Initially, a project in New Hampshire, called Northern Pass, won the bid — planning to bring the energy from Canada's Hydro-Quebec dam system through the White Mountains and down to the Bay State. 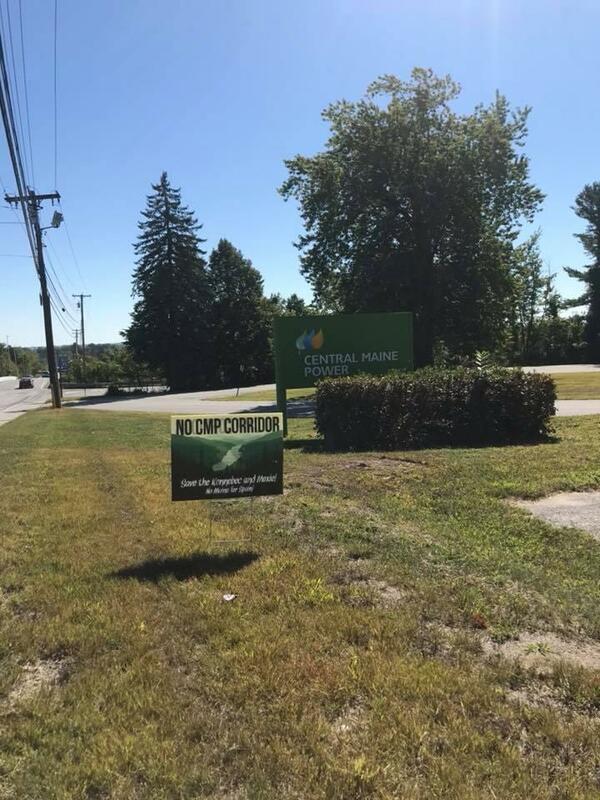 But that project was very controversial in New Hampshire, and earlier this year, state regulators there turned down a key land use permit for the project. Opening the door for CMP. Exactly. Massachusetts then turned to CMP's proposal, for a $950 million, high-voltage transmission line from Beattie Township — not far from the Sugarloaf ski resort — through northwestern Maine and down to Lewiston, also relying on electricity from Hydro-Quebec. That includes 53-miles of entirely new transmission corridor: 150-feet wide, plus a buffer zone, through the forests of western Maine. OK, so Massachusetts customers would get to say they are using more electricity from low-polluting sources. What's in it for Maine? CMP says a lot. 1700 direct and indirect jobs during the construction phase, dozens of permanent jobs and $18 million in new property taxes for host municipalities. It also contends that the electricity paid for by Massachusetts customers will, under the rules of supply and demand, improve supply on the grid that's shared by the whole region and therefore reduce electricity rates for everyone in New England, including Mainers. Just yesterday the state Chamber of Commerce, the International Brotherhood of Electrical Workers and the big construction firm Cianbro held a press conference to announce they were joining forces to push the project. Not everyone sees it as a boon. Far from it. Organized opposition has been a little slow to build though. This flew pretty low under the radar at first, partly because most people expected the winner would be that New Hampshire project, which Granite Staters have been arguing over for many years. But competing electricity producers were fairly quick to turn their attention to Maine. They are concerned that instead of competing in the open electricity market to provide the best price to the region — a contest most often won by natural gas generation — the big slug of Hydro-Quebec electricity will distort the market, possibly forcing other electricity plants to shut down, including here in Maine. It's causing some controversy around the gorge, because of environmental and aesthetic issues? That's right. CMP's preferred route takes the transmission line right across a section of the gorge that's prized by many in the state's whitewater rafting community, out in the area of the Forks. It's in a ten-mile stretch of the river whose banks right now are entirely undeveloped. CMP says the specific section isn't that scenic, and it did try to soften the effects by offering a $22 million package of conservation easements for rec trails, investments in natural-resource based tourism and other economic development efforts. Did that do the trick? For the trail advocates and rafters that signed on, but many did not, and opposition is mounting. Several towns along the route are now calling for the project to be denied. It seems like a ballot campaign, right? It isn't on the ballot, but a coalition of opponents — competing generators, local residents and environmentalists — is coming together to raise public awareness and, they hope, political pressure against the project. But if hydro-electricity is low-polluting, why wouldn't environmentalists support that? Many simply don't buy the idea that this procurement will lower carbon dioxide emissions. Just today [Wednesday] the coalition, led by the Natural Resources Council of Maine, issued a consultant's report contending that to serve the new Massachusetts customers, Hydro-Quebec would have to backfill commitments to other customers with electricity from higher-polluting sources. Most environmental groups that are weighing in say it's not worth the costs — fragmented habitats, impacts on the Appalachian Trail, and possibly suppressing the development of new renewable energy sources in Maine. So since it's not on the ballot, who gets final say here? Massachusetts regulators have to approve it. 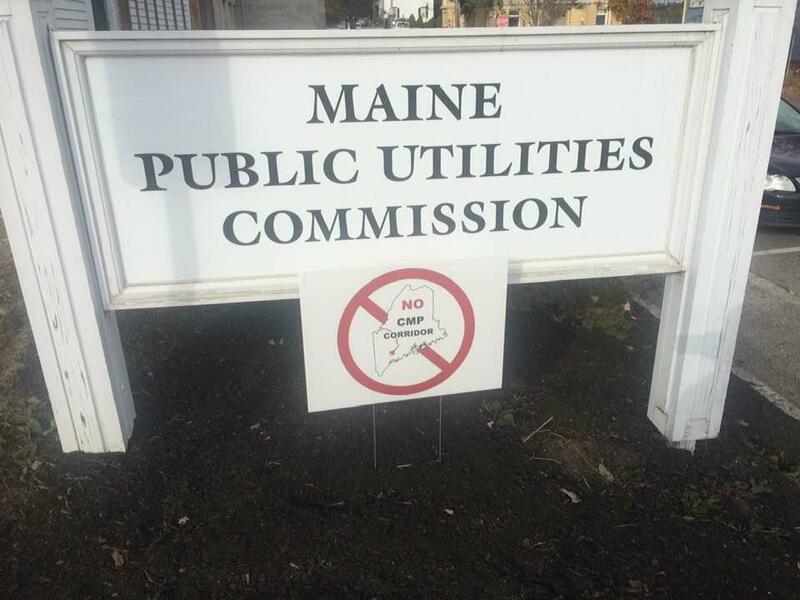 And here in Maine, the Public Utilities Commission, which has a hearing [Wednesday] tonight, will have to decide that the project on balance benefits Mainers, while state environmental regulators will have to sign off on CMP's efforts to mitigate ecosystem impacts. Some local approvals might be required as well, although few if any have ordinances that specifically address projects like this. Originally published Oct. 17, 2018 at 5:44 p.m. ET. Maine's candidates for governor are voicing varying degrees of skepticism about Central Maine Power's plan to build a major transmission corridor from Canada through Maine — though that doesn't necessarily mean the candidates are against it.